Whether you are a fanatic Windows user or another Apple fan boy hypnotized by Uncle Steve's charm, there is no excuse for you to not try Linux. Contrary to what you may believe, you don't have to go through all those complex command-line acrobatics in order to get a glimpse of the penguin. In fact, you don't even have to install that blasted thing on your computer. In this article, we'll show you how you can get a taste of the most-talked about operating system in town (yeah, we fanboys do tend to exaggerate sometimes), without the fear of crashing your computer. Live CDs have been around for quite a long time. 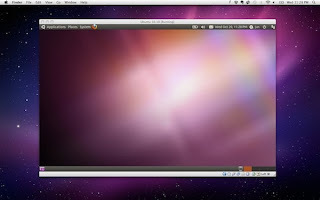 Also, the functionality that they provide has been incorporated in many popular Linux distributions including Ubuntu. 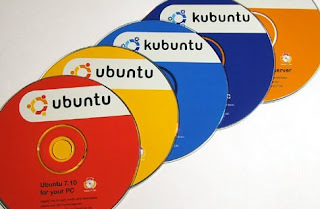 Basically, a Live CD allows the user to use a particular Linux distro without making any changes to the operating system. This means that no data is written on the hard drive. In fact, a Live CD can even run on a computer that doesn't have a hard drive. In non-technical terms, a Live CD is very much like the clothes you can try on before actually buying them. So, what do you have to do to get a live CD? Well nothing adventurous honestly, all you have to do is download the ISO image and burn it using any CD/DVD writing software. If you consider CDs a bit too old-fashioned, you can burn the image onto a USB drive and trust me, the computer won't know a thing! After burning the image, insert the CD in the CD drive and reboot the computer. While booting up, the BIOS sometimes needs to be configured in order to make the computer boot from the CD or USB drive. The task is not as daunting as it sounds. All you have to do is go to the BIOS settings screen by pressing the BIOS menu button of your computer. The key is usually F2, ESC or Del; whichever it is, it will be printed while the computer boots up. Then, find the option that says 'Change boot device priority' and give your CD drive or USB drive, the first priority. Finally, save the changes and reboot. Follow the instructions and you'll have a completely functional desktop within minutes. Any changes you make there are temporary and will not be stored on your hard drive. Hence, after you finish trying out the distribution of your choice, your computer will be back to the state it was before you tried the Live CD. If you want to try Linux now, you could go to distrowatch.com, pick a distro and download the ISO image. Just follow the aforementioned instructions and embrace the freedom. If you've been abreast with the latest in technology, you must have heard of the term virtualization. It was a buzzword when it was new and has now become one of the most promising technologies around. Virtualization allows users to run an operating system on top of their main operating system. So, say you're running Windows XP now, and let's suppose you wanted to try out Ubuntu. In that case, you won't have to even reboot to do that. You can run Ubuntu, with some minor performance compromises, on top of Windows XP or any other operating system. Virtualization basically creates a virtual machine which, in a way, mimics a real computer. Thus, any operating system can be installed using virtualization software, just like you can on a real computer. Virtualization may seem a bit of geeky domain to venture into. However, thanks to the progress we've had in consumer-oriented software, it is ludicrously easy to use. If your hands are itching to try the magic out, all you have to do is install a free program called VirtualBox. 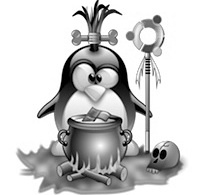 It is available for Windows, Linux, as well as Mac OS X.